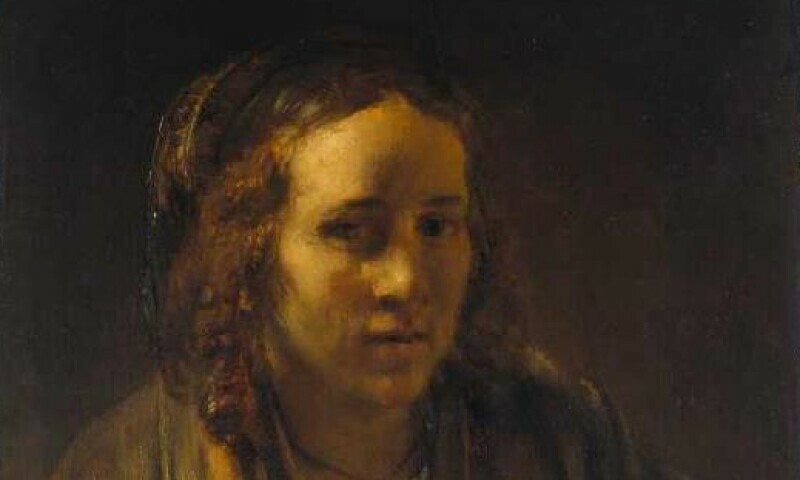 Rembrandt, Light study with Hendrickje Stoffels as a model, c. 1659, oil on panel, 72.5 x 51.5 cm. Städel Museum, Frankfurt am main (on permanent loan from the BRD). With the staging of Rembrandt’s Social Network, The Rembrandt House Museum marks the beginning of Rembrandt Year 2019, 350 years after the artist’s death. The focus is on Rembrandt’s relationships and the role they played in his life and work—because even a great artist like Rembrandt was not a solitary genius. Like any good networker, he actively and deliberately used his social network. He had family and friends who helped him, who bought his works of art, who lent him money and challenged him artistically. Rembrandt’s social network is explored through a number of key figures, like his old friend Jan Lievens, the connoisseur Jan Six, his saviour Abraham Francen, artist friends such as Roelant Roghman and of course his wife’s family, the Uylenburghs—his ‘blood relatives’. The paintings, drawings and prints, including work by Rembrandt that has never or rarely been seen in the Netherlands, are striking in their informality.